Many serious public health problems confront the world in the new millennium. 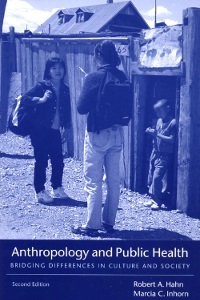 Anthropology and Public Health examines the critical role of anthropology in four crucial public health domains: (1) anthropological understandings of public health problems such as malaria, HIV/AIDS, and diabetes; (2) anthropological design of public health interventions in areas such as tobacco control and elder care; (3) anthropological evaluations of public health initiatives such as Safe Motherhood and polio eradication; and (4) anthropological critiques of public health policies, including neoliberal health care reforms. 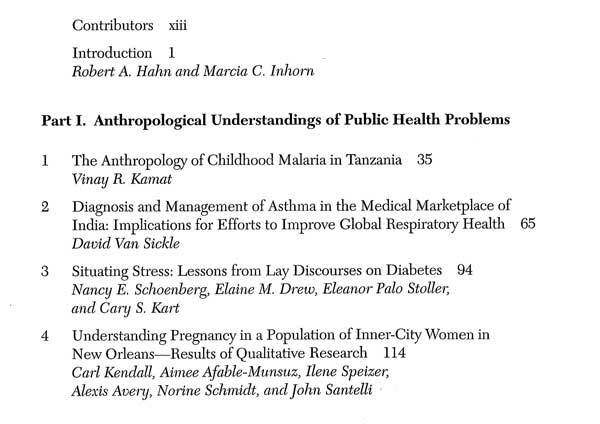 As the volume demonstrates, anthropologists provide crucial understandings of public health problems from the perspectives of the populations in which the problems occur. 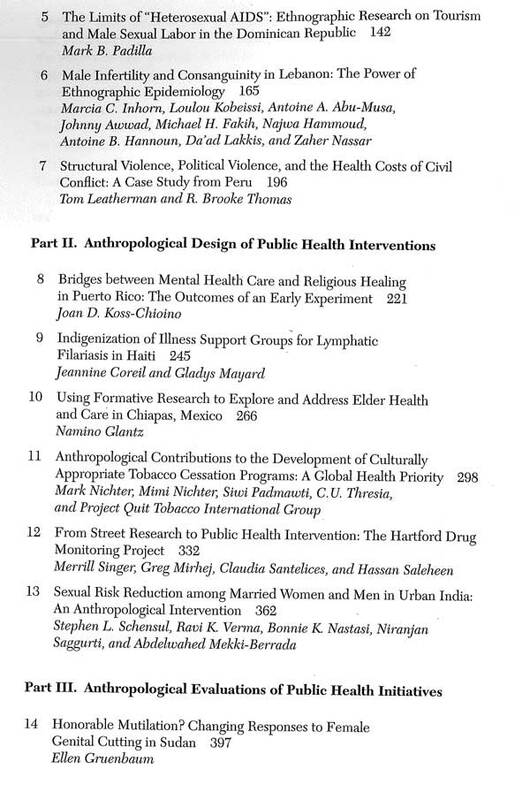 On the basis of such understandings, anthropologists may develop and implement interventions to address particular public health problems, often working in collaboration with local participants. 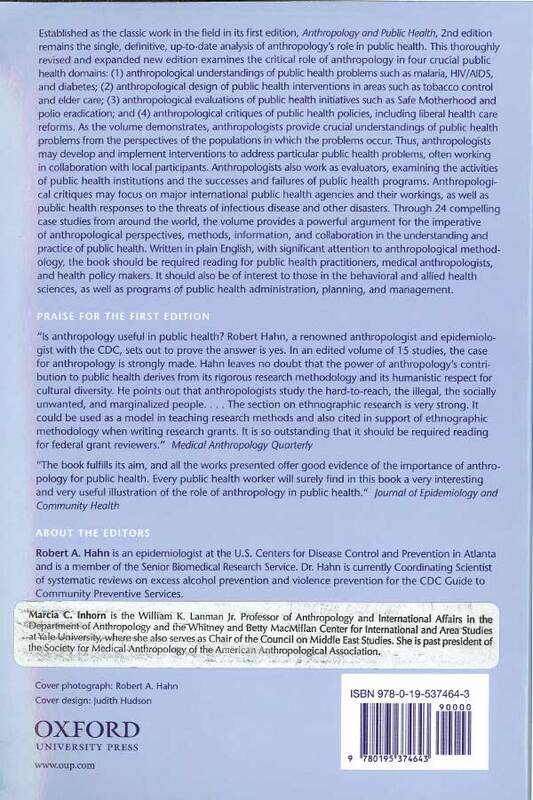 Anthropologists also work as evaluators, examining the activities of public health institutions and the successes and failures of public health programs. 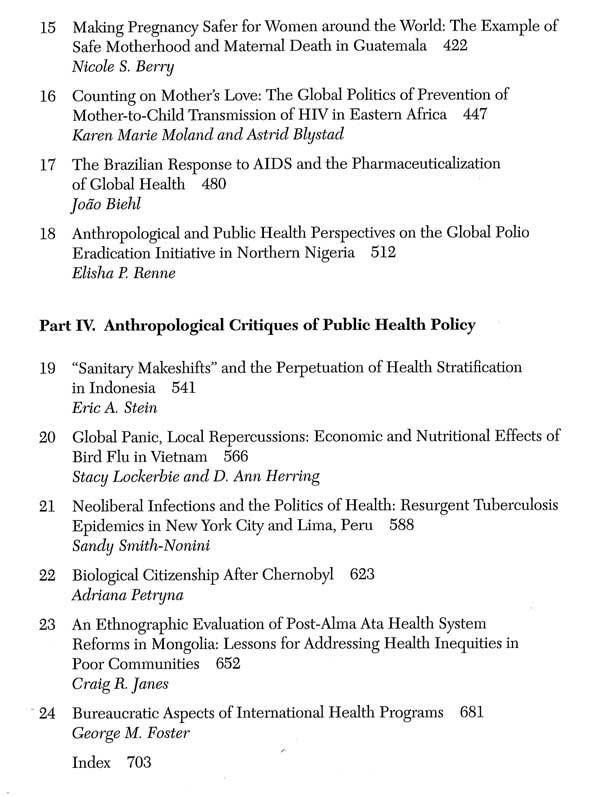 Anthropological critiques may focus on major international public health agencies and their workings, as well as public health responses to the threats of infectious disease and other disasters. 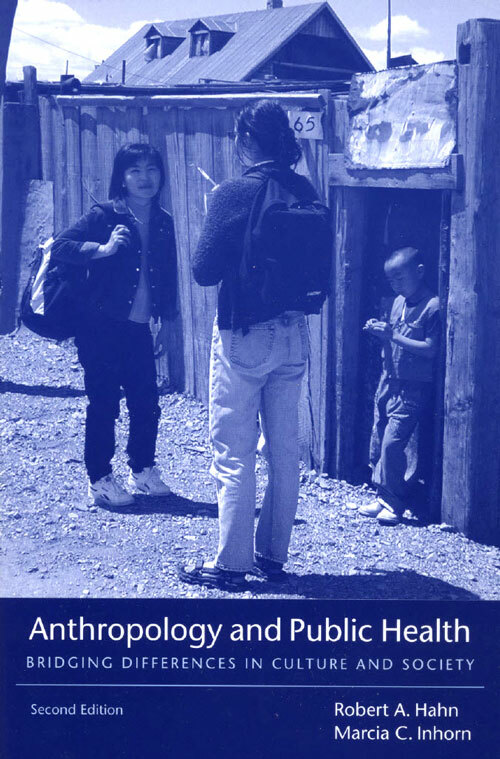 Through twenty-four compelling case studies from around the world, the volume provides a powerful argument for the imperative of anthropological perspectives, methods, information, and collaboration in the understanding and practice of public health. Written in plain English, with significant attention to anthropological methodology, the book should be required reading for public health practitioners, medical anthropologists, and health policy makers. It should also be of interest to those in the behavioral and allied health sciences, as well as programs of public health administration, planning, and management.